With the arrival of its third Isuzu Grafter 3.5 tonne truck, Champfleurie Estates now operates an all-Isuzu distribution fleet delivering bagged firewood and other home produced timber products to customers within a 25 mile radius of the historic 15th century estate in Linlithgow, West Lothian. A third narrow cabbed Isuzu Grafter N35.120 rigid has recently gone into service at the estate and this latest Grafter has been specified with a bespoke drop side body with a larger carrying capacity than its two predecessors. This enables the 17-plate Isuzu to load two standard builders bags of firewood side-by-side within the body, significantly increasing the amount of firewood the vehicle can carry on customer deliveries. This particular vehicle is also specified with a rear mounted Penny Hydraulics 1200kg crane to facilitate the unloading of firewood at customer’s premises. Champfleurie Estates took delivery of its first Isuzu Grafter back in 2007 and this proved to be ideally suited to the Estate’s requirements. 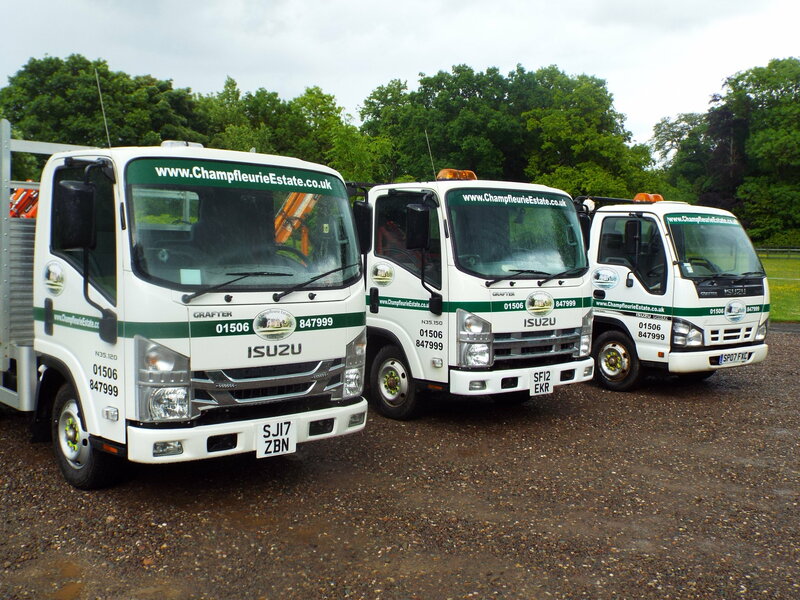 In 2012, a second Isuzu Grafter started work at Champfleurie and both of these trucks featured standard off-the-shelf drop side bodies with Palfinger rear mounted cranes. “The first Isuzu was bought as part of a programme established by the Estate to convert its waste wood into a sustainable customer service, producing a number of products including wood fuel logs and woodchips. 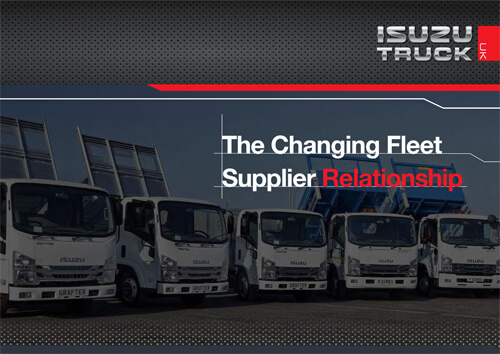 Such has been the success of this business that it has expanded each year to the extent we now required a third Isuzu, with all three trucks working purely on customer deliveries. Our product range has expanded over the years to include other timber options such as garden furniture, in fact everything we sell gets delivered by an Isuzu,” said Ricky Kerr from Champfleurie Estates. Apart from impressive payload and rugged reliability, the Isuzu Grafter is an ideal size of truck for the Champfleurie Estates delivery operation. It gives them the facility to position the vehicle on a customer’s driveway for unloading by crane directly into customer garages, which is the ultimate in customer service. Champfleurie Estate is privately owned by the Kerr family who have lived in Champfleurie House since 1987. As part of a dedicated environmental programme originally launched in 2004, Champfleurie Estates now converts in excess of 3500 tonnes of waste wood into a sustainable customer service. The Isuzu Grafter range can be viewed here.